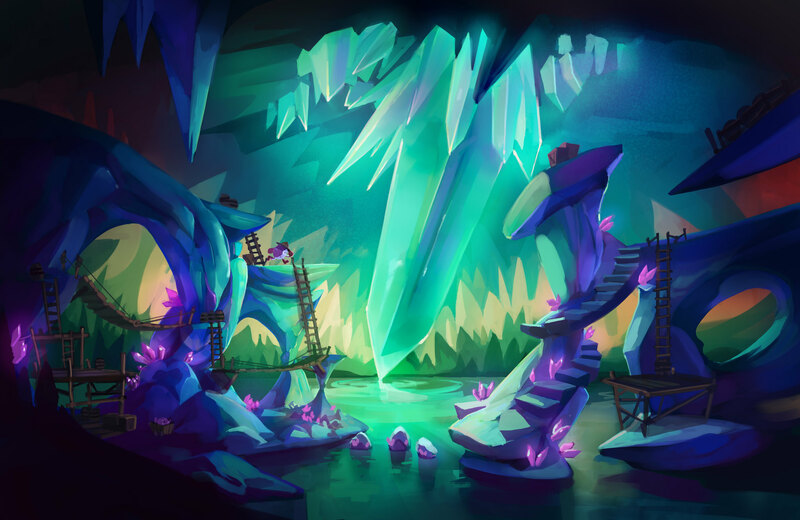 This will be our last update containing concept work from Dizzy Returns, and we hope you've enjoyed a glimpse into the world that we had imagined for the game. 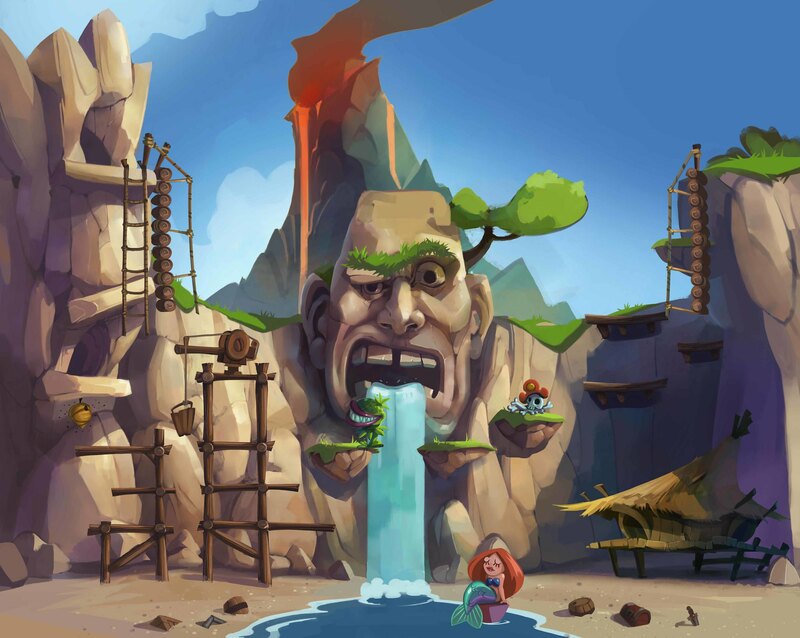 Similarly, Olivia's Cove features the giant stone head in the cliff face, which not only serves as an attractive centrepiece, but also plays an integral part in 'solving' the level! Below we have two images of the day and night-time versions of Olivia's Cove which you may have seen in our last video update. 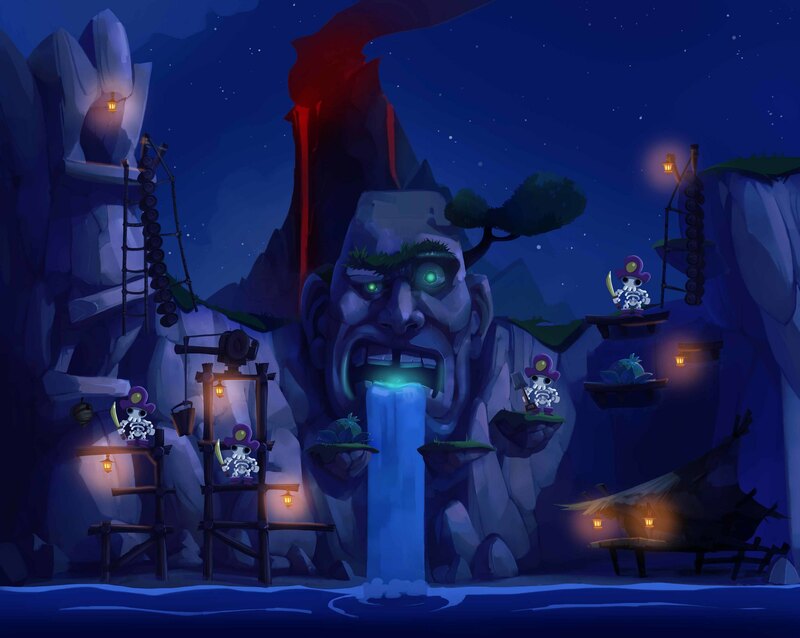 Altering the time of day makes a big difference, with items, enemies and puzzles changing with time, as well as the way in which Dizzy can traverse the level. 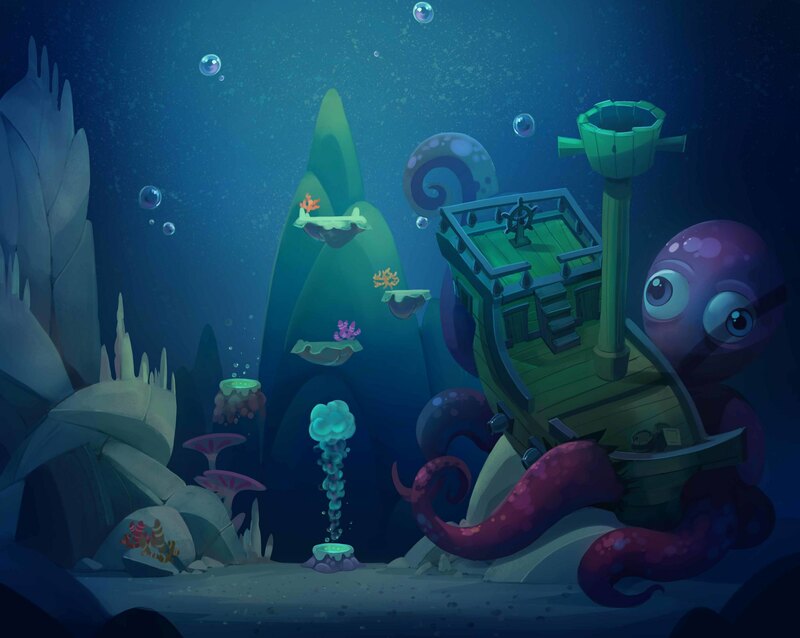 The next image forms the underwater part of Olivia's Cove, which Dizzy could explore only after completing certain puzzles in the main area of the cove. Successfully navigating this watery level in turn leads to an underground cave system complete with lava, where the story continues! We leave you today with a short video which shows a 'fly-through' of Olivia's Cove as a work-in-progress 3D environment. The Dizzy Returns Kickstarter campaign is due to end mid-afternoon this Friday, and we'll be posting our last update then. See you then! This would have been a really great game! This artwork and video is so delicious it makes my mouth water. I soo want to play this game as, I'm sure, all the backers do. Please try again to fund this woonderful Dizzy game. Never give up! We will see Dizzy again! Sad, this game had so much potential. I hope it still will be released somewhere in the future. Dizzy is great! Damn it, I want Dizzy!